You will not believe how imaginative our customers are. Our pilots like the challenge to convey the proposal with a kick! sunset at the Hollywood sign………. We love the challenge! 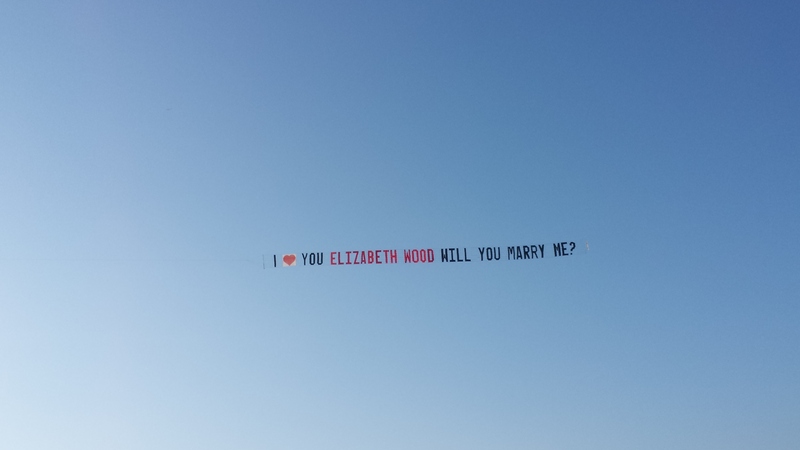 Come forward with your most unique way we can fly a proposal banner for you! 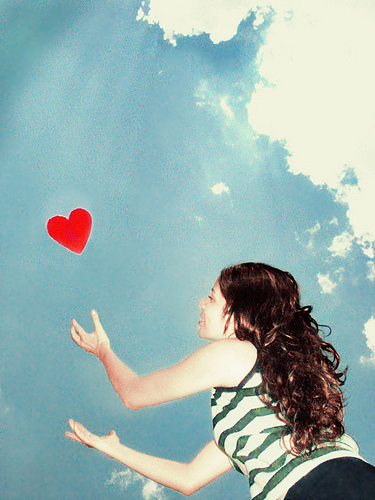 We will find you wherever you want to make your most romantic marriage proposal happen! 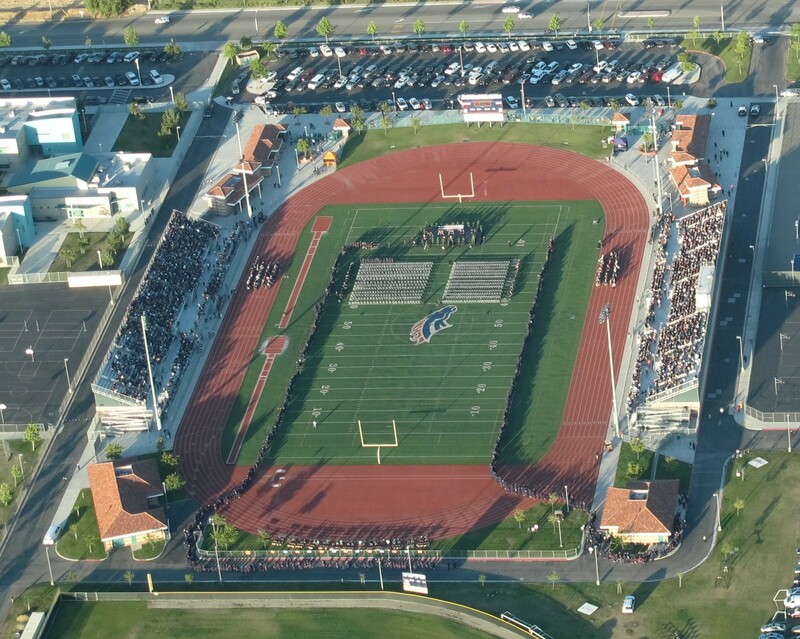 the Eleonore Roosevelt Highschool graduation ceremony on May 28th 2014! Fortunately, his girlfriend of 8 years said yes.Mike,35, said after being with Kim,30, for so long it was hard to think of a way to surprise her with something she expecting to get. He thought the perfect time would be the day after they got a rescue dog from a shelter and she would be distracted with their first four leg “child”. Kim said she was shocked and blown away when the plane flew over. Mike then got down on bended knee, proposed and Kim said, “Of course.”The couple get things off to a flying start and plan to get married at the end of the year. 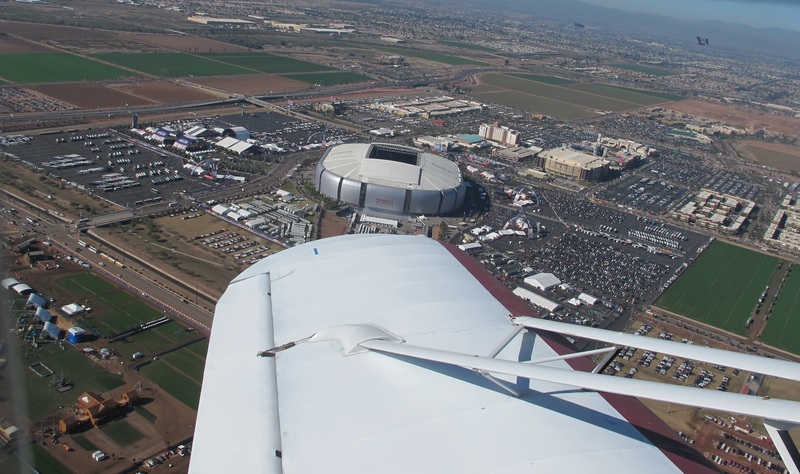 After 4 hours circling over the US Open of Surfing competition at Huntington Beach with the huge “Nocturnal” advertising billboard in tow the pilot had seen enough of the “Young and Beautiful! Our first proposal banner in Spanish! 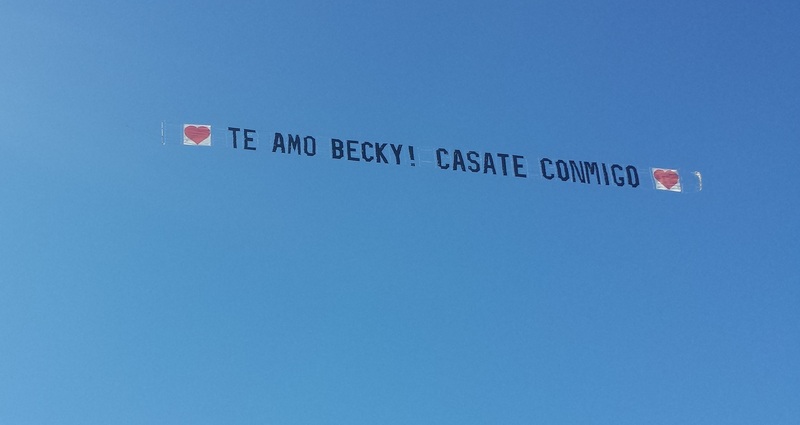 We hope to fly more Spanish love messages in the future! Who will make the start this graduation season? 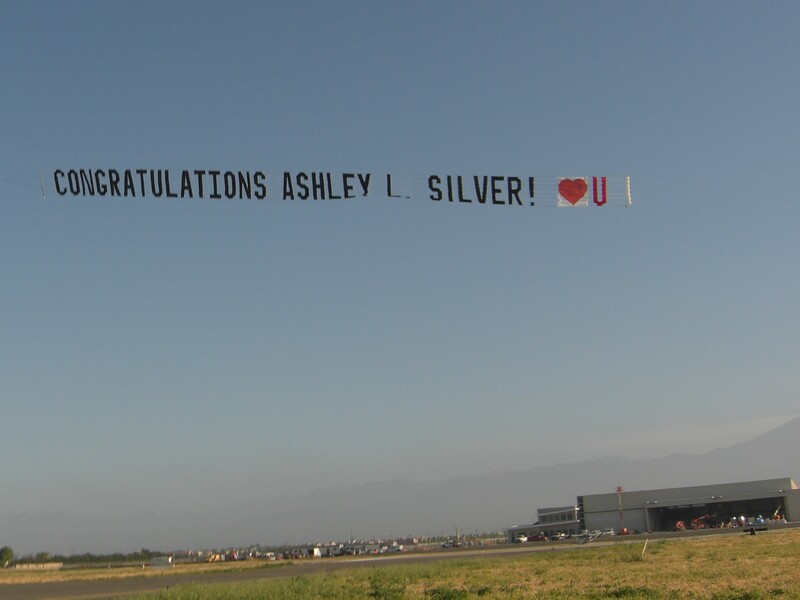 For instance in 2011 – our first graduation banner surprised Ashley L. Silver during the graduation ceremony at the Delmar Oviatt Library lawn California State University Northridge. Laura, her sister organized it and days before we flew it she was so excited and could not wait to see the face of her sister, when she will see her name in the sky. 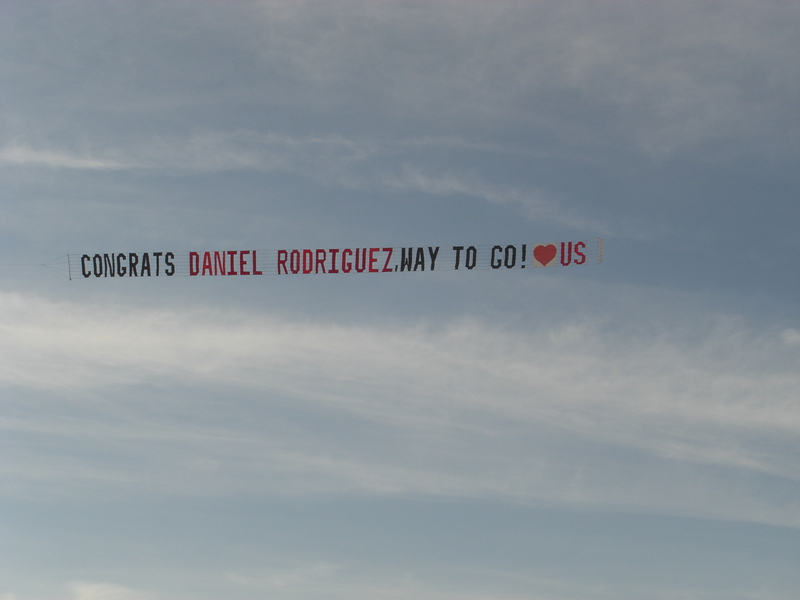 The congratulation banner was also mentioned in the speech, because everyone liked it. 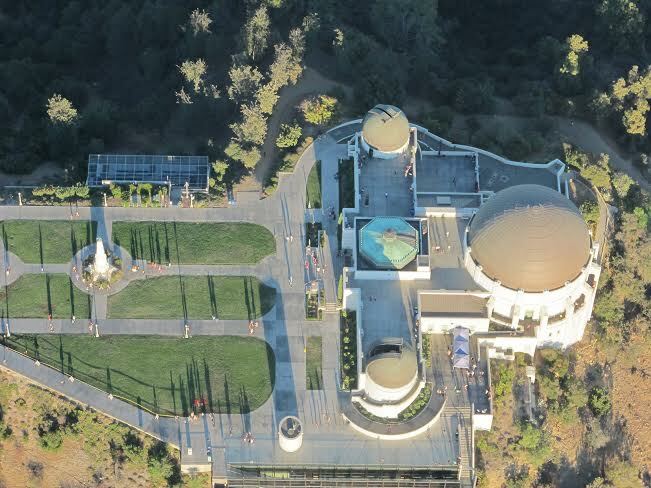 The sisters were blown away and enjoyed a special day together they will never forget. Lucas and his class at Ramona High School in Riverside got surprised yesterday May 31st with a congratulations airplane banner. Larry, Lucas father and as a the owner from Jerry’s Brake & Wheel in Corona, ordered the banner. He is better known in the area as “Mr. Smiley”, because he is always friendly and with a big smile on his face, so we put a “Smiley” as a last letter on the banner as a secret code. 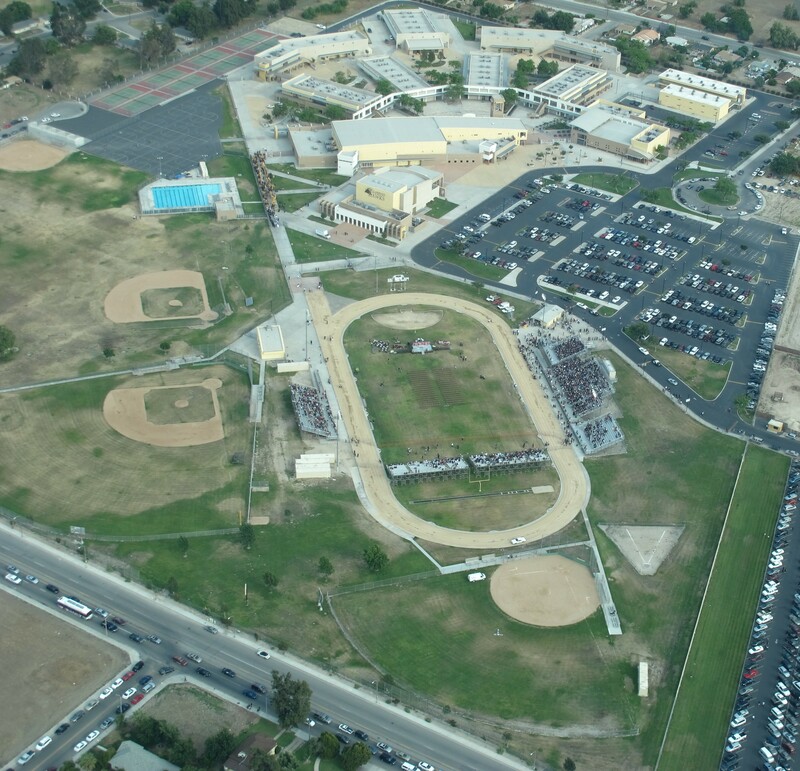 June 1st aunt Frances send an graduation banner to surprise her nephew at the Eleanor Roosevelt High School in Corona. 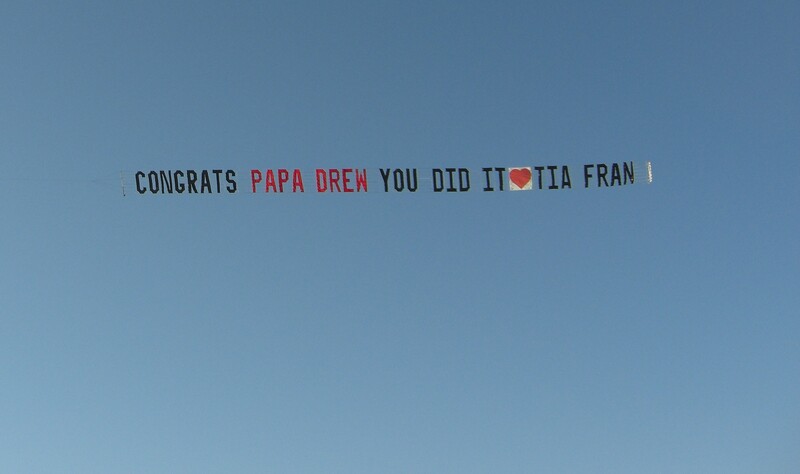 Her nephew “Papa Drew” saw years ago an airplane banner for graduation and mentioned that this was an awesome idea. Frances couldn’t attend the graduation because she had to take care of her sick mother, so she send an airplane banner instead. 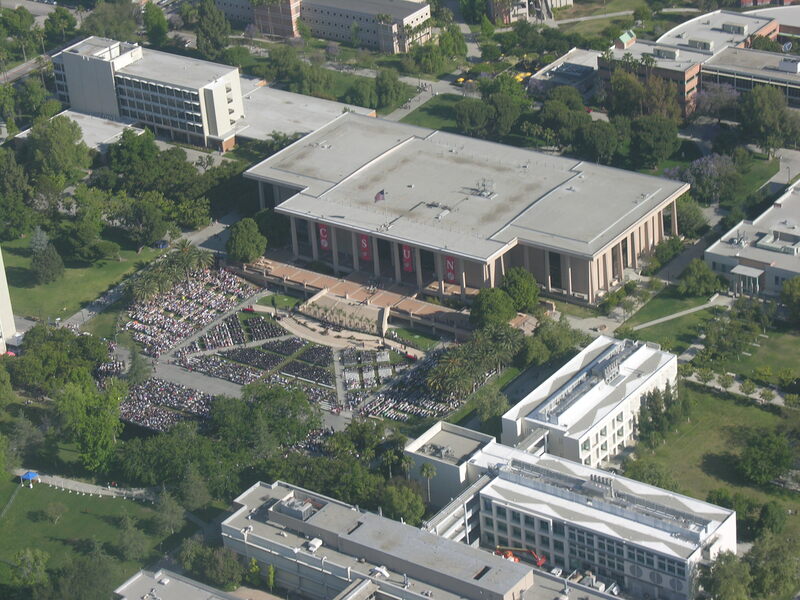 Aerial Picture from the Eleanor Roosevelt High School Graduation Ceremony 1st of June 2011. Daniel Rodriguez parents Pauline and George are well known parents, because they are always involved in the sport activities of the Arroya Valley High School. They know all lot of the kid’s for a long time. 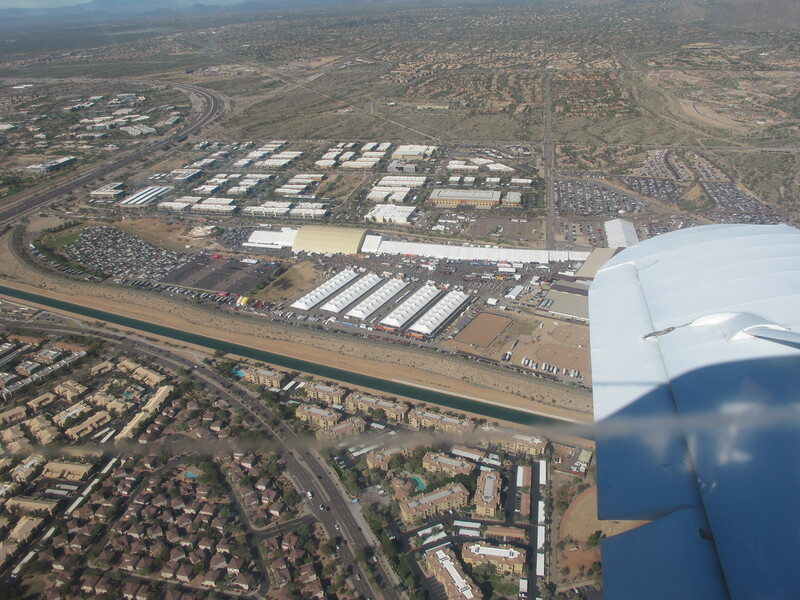 It was a pleasure for us to fulfill their wish and fly for their son a graduation banner. Godmother Misty wanted to surprise Breanna with an airplane banner showing up at the Colton High School Graduation – Misty got it right Breanna was overwhelmed. Aunt Judy adores nephew Troy, who is really a wonderful boy! Because of health problems she couldn’t drive to his graduation at the Linfield Christian School in Temecula. 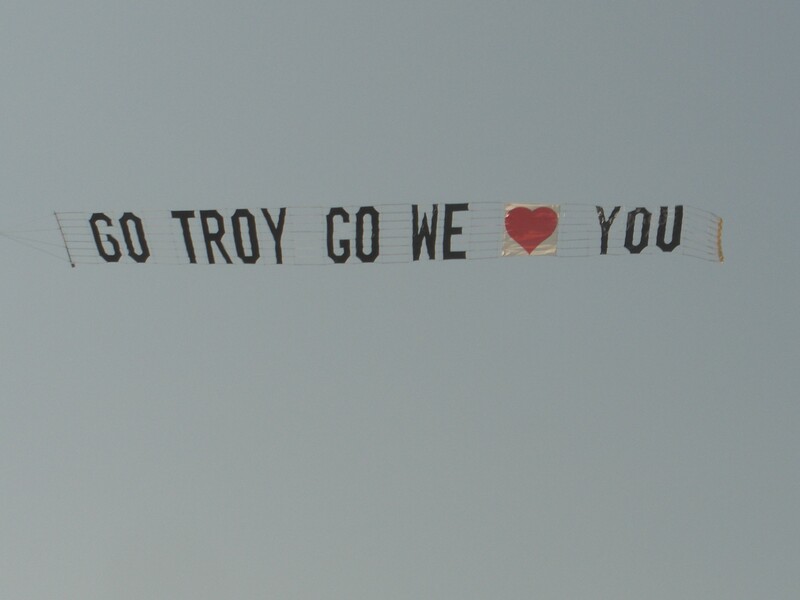 She does everything to surprise Troy. She sent to his birthday a few months ago an “In and Out” burger food truck. Judy found out about our service 3 hours before the graduation and we are happy that we could make it happen to fly aunt Judys message above Troys head in time. The 15 year old was speechless. State Farm, the largest U.S. home and auto insurer plans to fly airplane banners over areas affected by Superstorm SANDY showing their claims number. The planes will fly from sunrise to sunset, with one covering the greater New York City area and the other the New Jersey coast. The insurer has already received nearly 76,000 claims from that storm that battered oceanside communities in New Jersey and New York. “Sandy” is expected to be the second-worst natural disaster in U.S. history after Hurricane Katrina in 2005. The Consumer Federation of America said there would be hundreds of thousands of insurance claims filed due to Sandy and it could take weeks before homeowners or renters with damaged roofs or flooded basements see an insurance adjuster in person.